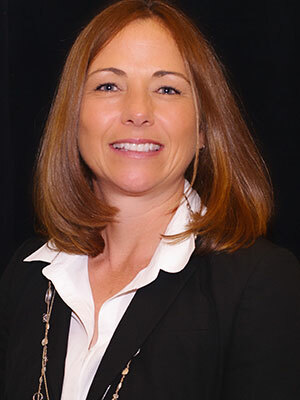 Heather Prendergast, RVT, CVPM<br><br>Heather Prendergast has spent over 25 years in small animal practice, and attended New Mexico State University to obtain a Bachelors degree in Animal Science and St. Petersburg College and received her Associates degree in Veterinary Technology. She then continued and completed the requirements needed, and become a certified veterinary practice manager (CVPM). She has taught several years for both veterinary technology and assistance programs and has authored the book 'Front Office Management for the Veterinary Team', now in it's 2nd edition. Heather has lectured for several local, state and national organizations on topics ranging from grief management for healthcare professionals to nutrition, inventory, communications and team management for the veterinary healthcare teams. She has authored several articles and participated in published roundtable discussions with the goal of increasing nutritional awareness, client compliance and communication within the veterinary practice. Currently, Heather provides consulting services for veterinary hospitals and is an instructor for Patterson Veterinary University and VetMedTeam. Heather serves on several advisory committees, including the Pet Nutrition Alliance Committee, the Fear Free Advisory Board and most recently was appointed Program Chair of the Technician Program at the North American Veterinary Conference. In addition, Heather was named the 2014 Veterinary Technician of the Year. 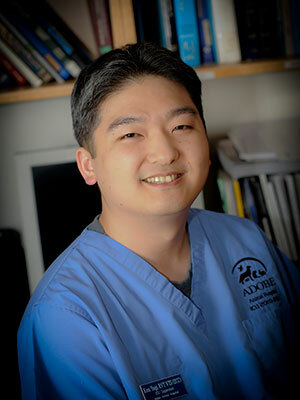 Kenichiro Yagi, BS, RVT, VTS (ECC, SAIM) is a veterinary technician in the field for 16 years. He is a UC Davis graduate with a bachelor's degree in Animal Science and pursuing a master's degree in Biomedical Sciences with an emphasis in Veterinary Medicine and Surgery at the University of Missouri. He is currently employed at Adobe Animal Hospital in Los Altos as the ICU Manager and the Blood Bank Manager. He is an instructor at Foothill College and VSPN, and is the ECC trainer for PetED Veterinary Education and Training Resources. He serves as a board member for the Veterinary Emergency and Critical Care Society and the Veterinary Innovation Council, the treasurer for the Academy of Veterinary Emergency and Critical Care Technicians, and the NAVTA State Representative Committee Chairperson. He has published textbook chapters and articles and speaks internationally on topics in critical care, transfusion medicine, respiratory care, evidence-based medicine and critical care nursing. Ken invites everyone to ask the question of 'Why?' to understand the reasons behind the 'What' and 'How' of our field. Are we veterinary technicians, or veterinary nurses? In October 2015, the National Association of Veterinary Technicians in America officially launched an initiative to pursue nationally standardized credential requirements and title change for the veterinary technician profession. Proposing of the title change to "Veterinary Nurse" has brought on great discussions of the future of the profession. This session is intended for furthering discussions by presenting the core of the issue and addressing common questions and concerns with the effort. 3. Gain the ability to form an opinion on the national credential issue with accurate information on the issue.